3 amazing women, Cristiana, Sigrun and Tisna are running an art gallery for and with the community in South East London, in an area where a lot of artists are studying and working (thanks to Goldsmith University) but are also struggling to find affordable spaces to showcase their stuff. Sometimes London is hard and it’s not very different from some villages in Italy, where art is supposed to be existing just for the upper-class and more literate people. Read their amazing story! 1) You’re describing yourself as an experimental art project. What is your defenition of ‘experimental’? For us is mainly creating an environment to explore the rapidly changing field of art and its impact on the world. For the local community: Create engagement. To experimente you have to approach ‘the problem’ in an unconventional way, challenge established processes, and take some real risks. There is a very definite need for affordable experimental art spaces such as HLS. Such places serve a vital need for young and developing artists, enabling them to try out and develop new work and conduct various forms of research in a supportive and flexible environment with as little distraction and financial stress as possible in an otherwise over priced city. 2) London is usually considered as a city of opportunities, where to start doing things, you need just do it. Why did you have to occupy an old, abandoned garage instead of following the legal process to start building the project (ie. with the council)? We came across the old abandoned garage 5 years ago. It had been left to rot for years by Lewisham Council. We are a group of local creative people who had come together collectively looking for a studio space to work in and run an art gallery. We didn’t set out to do anything unlawful and initially we were in dialogue with the Council about renting the old garage off them. We were then told that the Council were planning to sell the garage and that we were welcome to put an offer in to buy it. Which is what we did, in fact we made a series of offers which included a programme for the proposed use of the space as an art gallery and design workshop. The Council’s response to our offer and proposal was very positive and they announced that although there were other offers on the table ours was by far the most in line with their ethos and regeneration strategy about involving the local community. In spite of this positive response we were left waiting for months on end until all of a sudden we received an email informing us that our proposal would after all not be accepted and that the garage was now to be sold at auction. We waited for the property to reach auction which it eventually did in February 2013 only to learn it had been withdrawn with no date for future sale. In other words having spent over a year pursuing this project, building up local support and network and having followed the advice given through the support of the Council Officers on how best to secure the space we were disappointed and frustrated to be in the position where we still didn’t know if the sale was going to proceed. On 10th March we met with the pressure group Lewisham People Before Profit (LPBP) and with them decided to peacefully occupy the old garage at Hartslane. 3) How much art should be considered provocative? And in which sense? For us it’s not so much about provocative art but about thought provoking art, food for the soul. All art should be socially, politically or emotionally provoking, evoking and engaging. ‘Art is a way, not a thing’. 4) How important is the local community for hARTSlane? And what an art space like yours can give to the neighbourhood? Very important, we are part of the local community ourselves. Our mission is not only to create accessible, meaningful socially engaged art for New Cross and beyond, but also closing the gap between the many artists who live here (thanks to Goldsmiths University) and the community at large. 5) Why have you decided to mainly showcase artists works in exhibitions, when the artistic trend is about using technology and video? We don’t follow trends, we don’t showcase ‘just artist works’ as well as we do not choose what to exhibit based on the medium. Meaningful socially engaged art come in all shape and forms. Immersive theatre, contemporary dance, sound installation, poetry, film&video, performing arts, live streamed art, smelly art, edible art, conceptual art made by children, homeless artists, artists who have Asperger’s syndrome, art&protest, etc, besides all other forms of ‘the more traditional’ contemporary arts (like painting, sculpture, photography or printmaking) are common practice in hARTslane. We favourite site specific interventions and projects that engage with the local community as well as relevant political and social issues. What we look for is integrity and significance. In the future we would like to establish thematic programmes, where every six months we address a new topic or theme we feel the need to explore on an artistic level. 6) Which are the future ideas/festivals you’re organizing? We are currently working on ‘Greetings from New Cross Gate’ an exciting photography art project open to everyone, professionals and amateurs, children and adults. We are looking for photos of hidden SE14, the area where hARTslane is based in order to produce 25000 postcards and distribute them worldwide. All the entries will be part of an exhibition in June and the public will vote their favourite 10 images which we will then transform into postcards. New Cross is one of the grimmest part of London but we believe there are lots of gems hidden here and we want the locals as well as artists from London to discover them. We want our neighbours to be proud of where they live. The participation is free and the deadline to submit a photo is May 15. 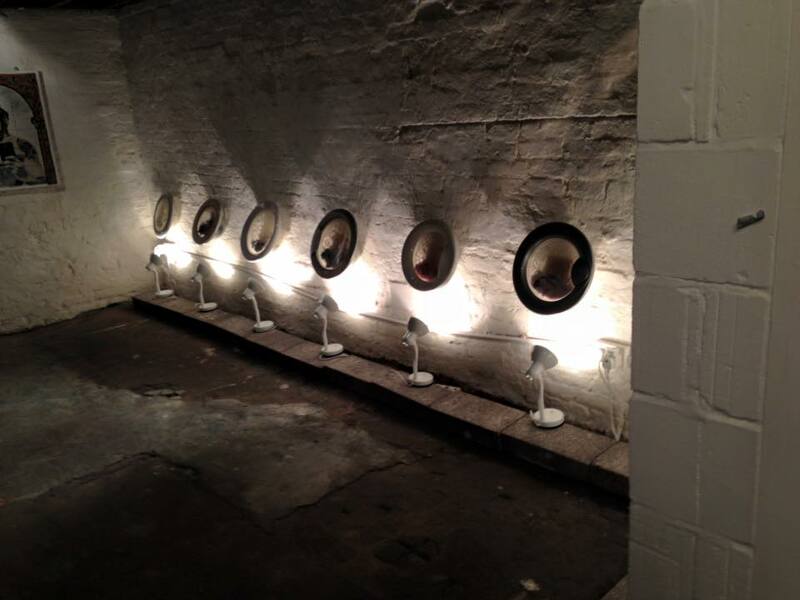 7) How can artists organize an art exhibition or festivals at Hartslane? 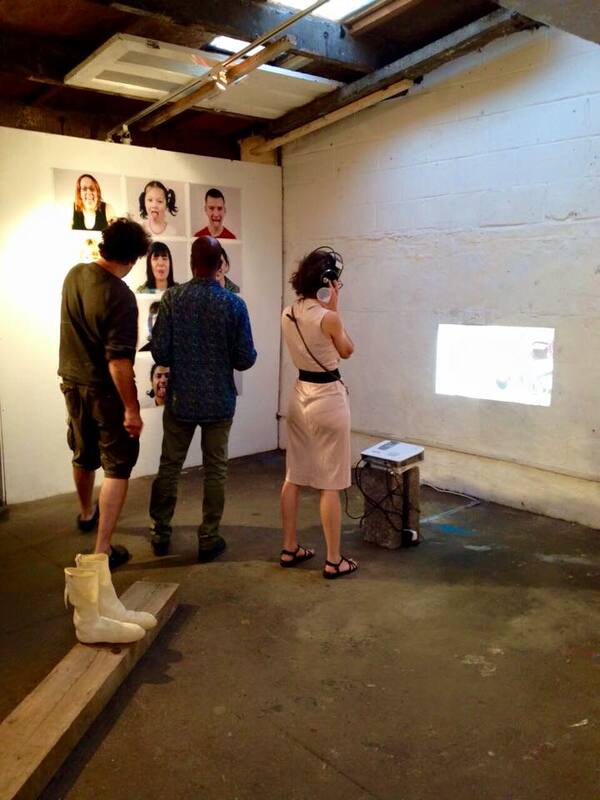 We have a programme called Platform where we accept applications for art events and projects. 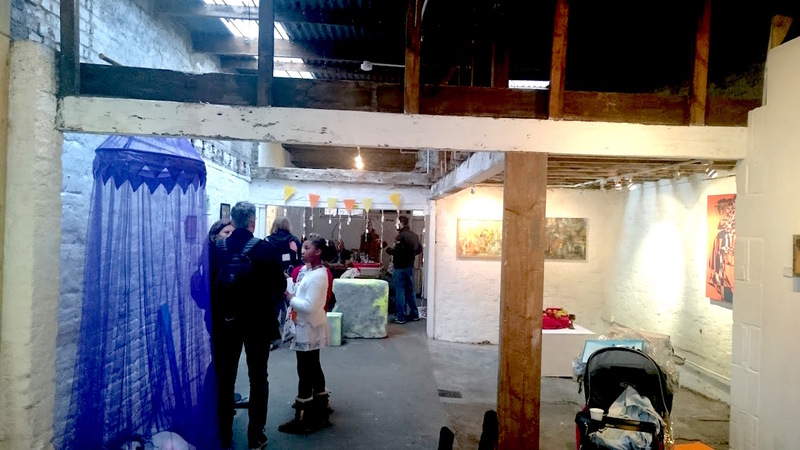 We work with both emerging and established artists and we provide them with an affordable space where to exhibit and experiment. Rents are becoming incredibly expensive in London and we think it’s important to keep our gallery affordable. This is especially true for students but not only. For example this year we will have a whole MA programme students of Goldsmiths exhibiting at hARTslane through a series of 4 shows. Together with the space we provide PR support and visibility and in some cases curatorial support. In this way we are able to organise between 40 and 50 events every year, which means that we have private views almost every week. It’s positive for the art community and for our own local community too. You walk home every night and you can always pop in to see something, to meet someone. We don’t want a gallery that is detached from its surroundings or that’s empty most of the time.